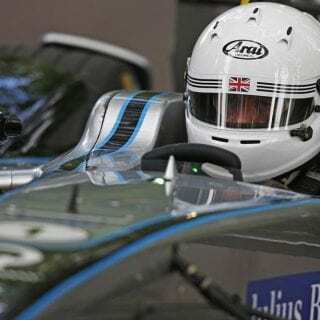 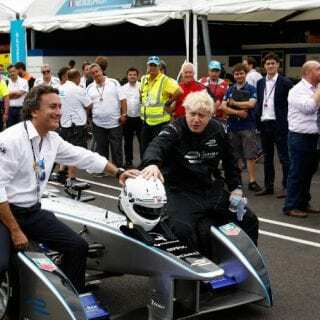 The Mayor of London, Boris Johnson, got behind the wheel of the Formula E car to complete two laps of the Battersea Park track. 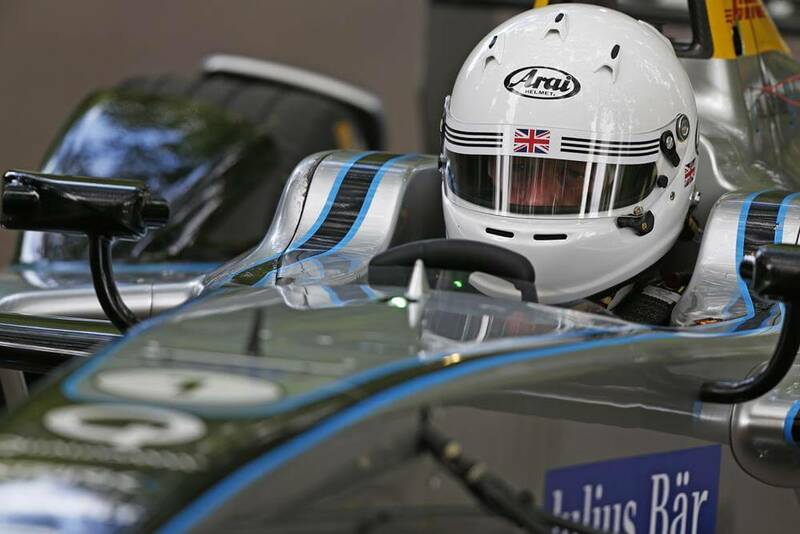 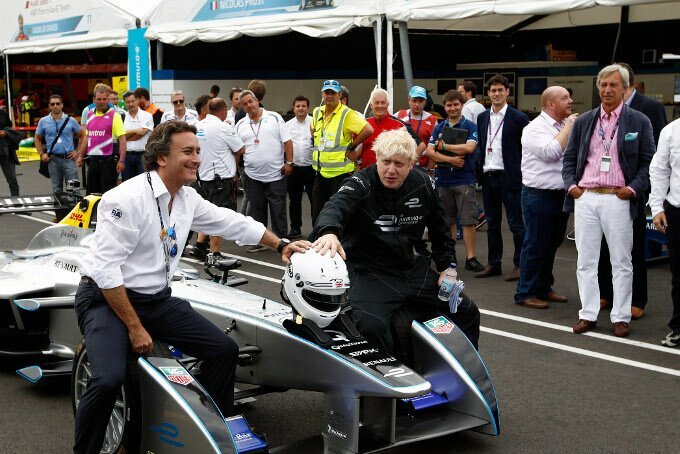 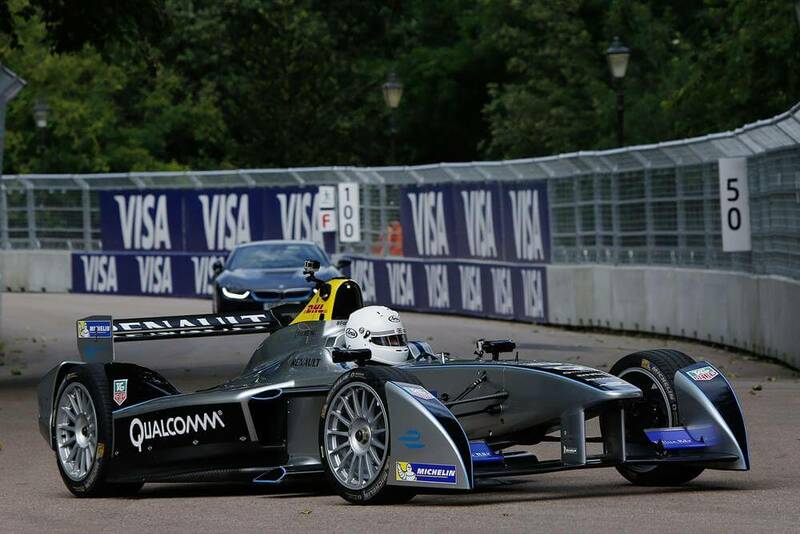 See all the photos of London Mayor Boris Johnson driving Formula E car below. 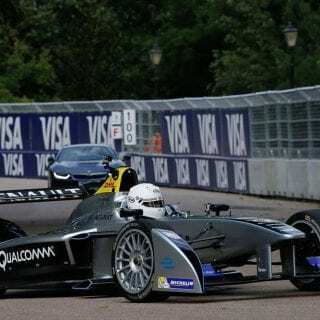 After arriving on his familiar bicycle, Johnson was given a tour of the track in the Qualcomm safety car before donning his race suit and jumping into the fully-electric Spark-Renault SRT_01E. 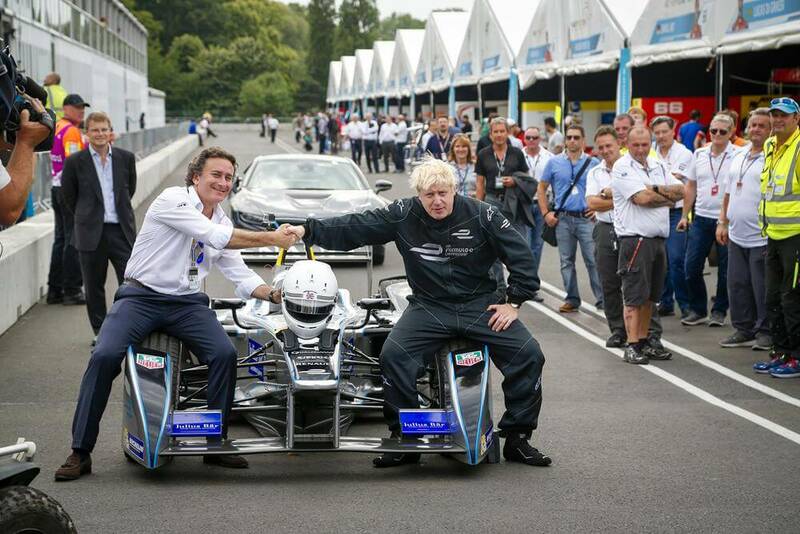 It certainly is fast but I’ve gone faster!